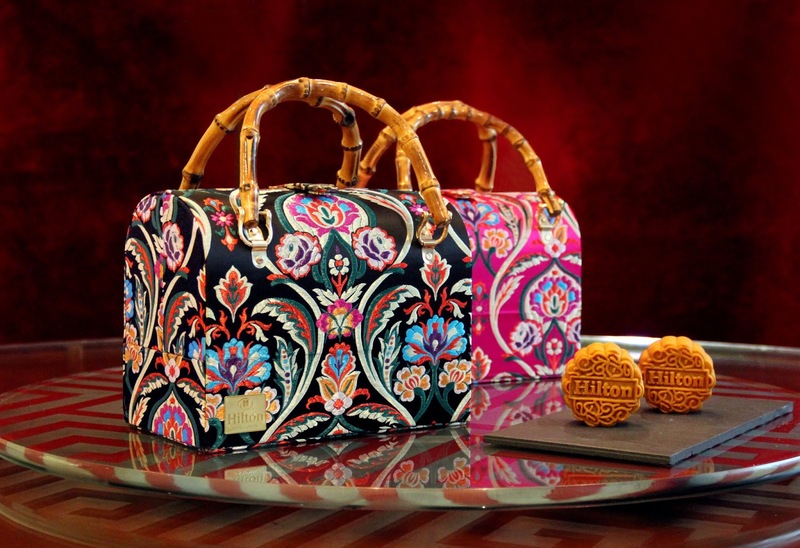 The qipao is the highlight at Hilton Petaling Jaya’s Mid-Autumn Festival this year. 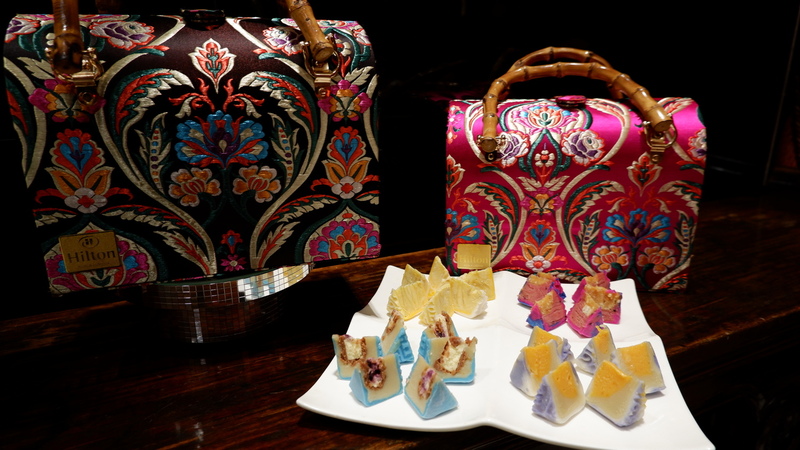 This design of premium boxes themed Oriental Delights are available at Toh Yuen, its Chinese restaurant, with a delectable selection of baked and snow skin mooncakes. Mooncakes in Premium Boxes are RM135 with 4 various flavours while a standard box is RM110. Toh Yuen’s pastry chefs have retained classic flavours for its baked mooncakes with nine flavours to choose from, such as White Lotus Paste, White Lotus Paste with Single Yolk, Pandan Paste with Single Yolk, Red Bean Paste with Almond Flakes, Green Tea with Pistachio Nuts, Black Sesame Paste, Pumpkin with Sunflower Seeds priced at RM28 and Mixed Five Nuts and Purple Sweet Potato priced at RM32. The snow skin mooncakes are Tiramisu and White Lotus with Sunflower Seed (RM25) and Purple Sweet Potato, the all-time favourite Chocolate Pistachio Indulgence and Golden Bamboo with Black Sesame Paste (RM28). Also available until Sept 24, 2018 is the Mid-Autumn Reunion Set Dinner (RM1, 388 per table of 10), a traditional eight-course meal highlighting Cantonese cuisine. At a preview, we start with Prosperous Four Season Reunion Hot & Cold Combination. Artfully arranged on plates placed at various heights, it’s a pretty picture. There’s chilled marinated jellyfish (winter), stirfried sweet pea with clams and celery (spring), seafood-stuffed gluten balls tossed with red dragonfruit mayo (summer) and almond-crusted parcels of smoked chicken (autumn). Then diners refresh their palates with Double Boiled Japanese Conch & Chicken Soup. Double-boiled for six hours, the soup is slurpilicious to the last drop and filled with goodness from the chicken, conch, dried scallop, mushroom and wolfberries. Deep Fried Garoupa Fillet with Silky Butter Corn Sauce – are served together. Deboned and cut in thick chunks, the fish is battered, deepfried and tossed in a smooth sauce with hints of fresh corn aroma. The slightly butterflied prawns, however, require a little work on the part of the diner. Do ask for cutlery if needed as the prawns are not shelled which is unfortunate as the taste doesn’t really get into the prawn flesh. The Claypot Mushroom with Top Shell & Broccoli is a delicious combination. While the Japanese conch in the soup was chewy, the top shell is soft and easy to eat. The dry mushrooms are thick and fat, the broccoli fresh and crunchy. Next is Chef Ric’s Egg Fried Mee Suah with Crabmeat & Mushroom. There’s a gorgeous aroma of smoke coming from the noodles and the addition of beansprout gives it a nice crunch. Dessert is Chilled Peach Resin in Dried Longan Syrup and Toh Yuen’s signature mooncakes, of course. Mooncakes are available at Toh Yuen Restaurant, 1Utama Shopping Mall and Sunway Velocity Mall. Holders of CIMB, Citibank, HSBC, Standard Chartered, OCBC or Hong Leong Bank will get a 20% discount for a box of four mooncakes. For further enquiries, call 603-7955 9122 or visit www.zestPJ.com. 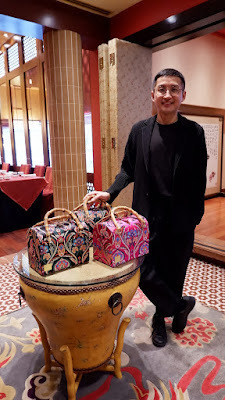 Leading Malaysian designer Khoon Hooi lends his touch to the Mid-Autumn Festival this year with a pair of mooncake gift boxes shaped like mini duffel bags made with the same brocade that’s used in his Fall Collection. 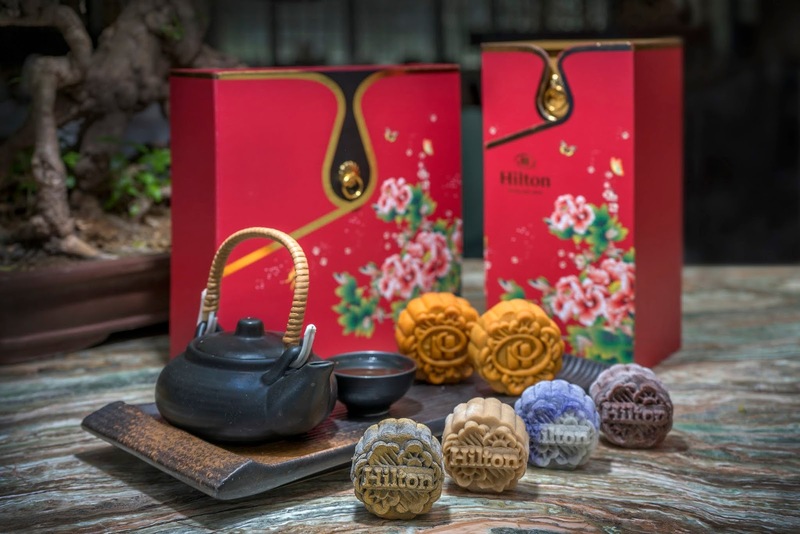 The noir Midnight Bloom (RM198) and fuschia Blossom (RM178) are part of Hilton Kuala Lumpur Gourmet Couture Series and each box contains four mooncakes. Hotel Executive Chinese Chef Lam Hock Hin is known for, in particular, three varieties of mooncakes – the top-selling Musang King, snow skin mooncake with pure premium musang king durian (RM56), Blue Moon, snow skin amaretto lotus paste with blueberry cheese feuillantine (RM35) and Flower Drum, snow skin lotus paste with soft custard egg yolk (RM35). This year, his signature mooncake is Dragon Blossom (RM38). This snow-skin mooncake in vibrant hues of fuchsia and cobalt blue, encases red dragon fruit and pineapple with a heart of macadamia nut. Other classic mooncakes (RM35) on sale include Baked White Lotus Paste, Baked White Lotus Paste with Single Yolk, Baked Lotus Paste with Single Yolk, Baked Red Bean Paste with Almond Flakes as well as a Five Nuts Mix (RM36). On sale at the hotel lobby until Sept 24, Pavilion Kuala Lumpur, Mid Valley Megamall, 1Utama Shopping Centre and Avenue K Shopping Mall.